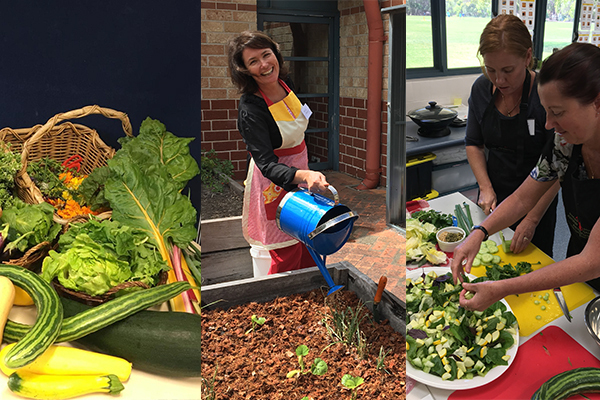 The Kitchen Garden Foundation’s training team held 42 face-to-face professional development sessions around Australia in 2018 – reaching 943 educators from 556 different schools and early childhood services! 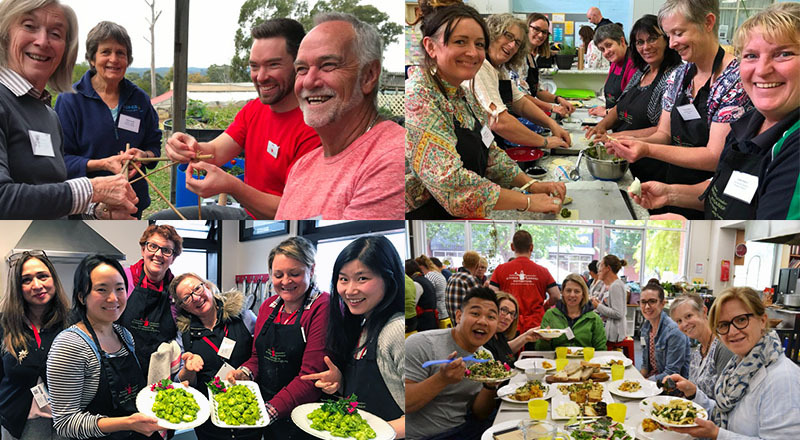 Before the team heads off for the first round of face-to-face professional development in 2019, we thought we'd have a look back at some of our favourite photos from last year's training days. 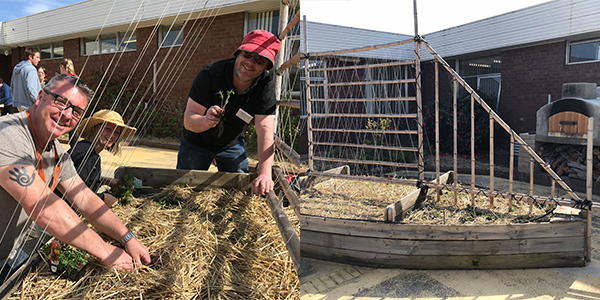 Planting out the amazing boat-shaped garden bed at Herdsmans Cove Primary School, near Hobart in Tasmania. 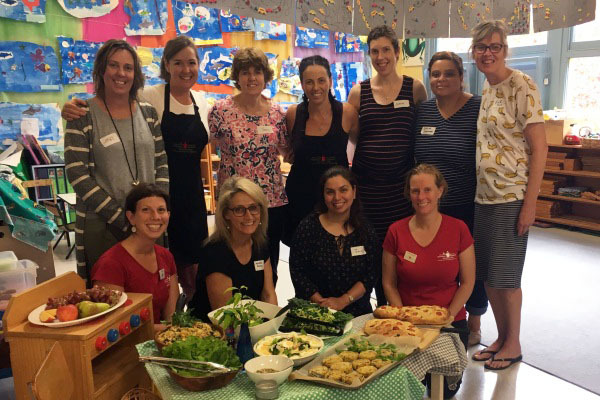 Cookbook author and TV host Anna Gare joined our training team at coastal Albany’s Little Grove Primary School, in the south of Western Australia. Making climbing structures in the garden at Clifton Creek Primary School in Victoria’s east Gippsland. Mt Sturgeon provided a stunning backdrop for training at Dunkeld Consolidated School, in the Southern Grampians in Victoria. 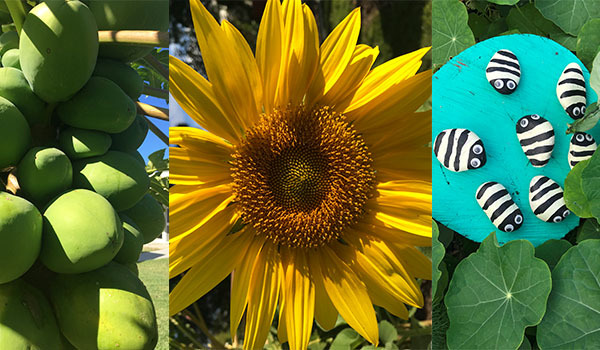 The colourful tropical garden at Burleigh Heads State School, which hosted training on Queensland’s Gold Coast. 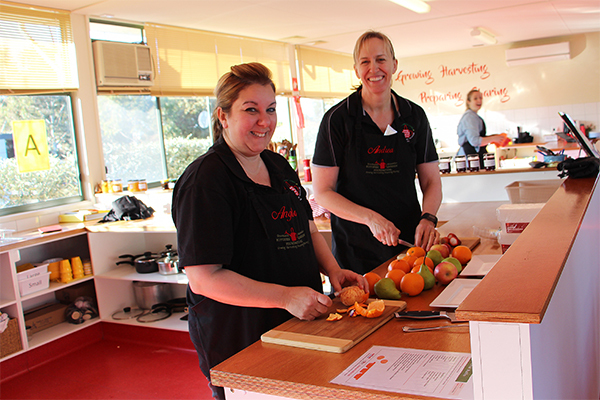 Andrea and Angela, wonderful staff from the kitchen garden program at Parkwood Green Primary School in Melbourne’s north-west, prepare fruit for morning tea. 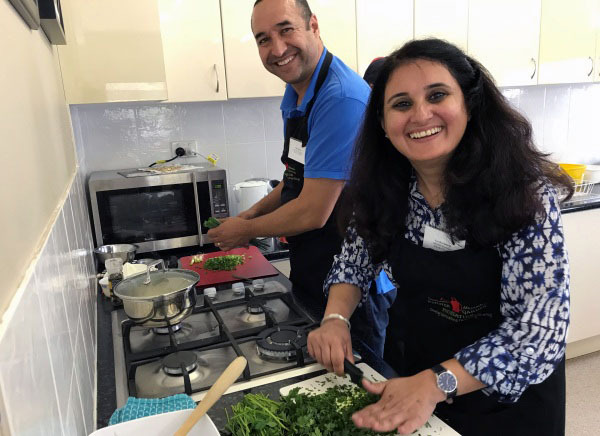 Dimitra, the Kitchen Specialist at Sydney’s Stanmore Public School, has a laugh while writing up the shared lunch menu for training at the school. Happy pumpkin-and-silverbeet wonton makers at Delacombe Primary School, near Ballarat in Victoria’s Central Highlands. Practising knife skills at Woodend Primary School in the southern Adelaide suburb of Sheidow Park. 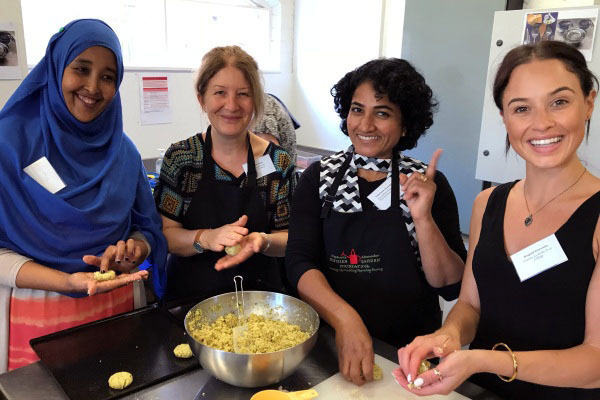 Rolling broad bean falafels at Kingswood College in Box Hill, an eastern Melbourne suburb. 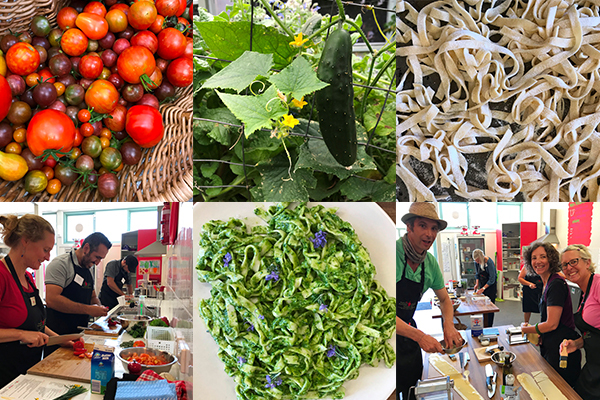 Vivid produce and handmade pasta at Canberra’s Majura Primary School. 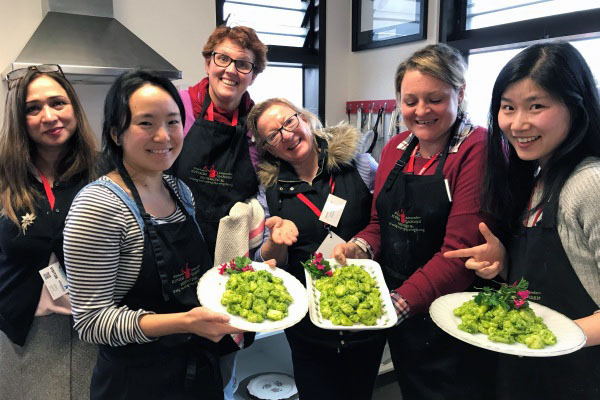 Proud cooks showing off potato gnocchi and parsley pesto at Whitehorse Primary School, in Melbourne’s Blackburn North. The vibrant shared lunch at Darwin’s Alawa Primary School included fried rice lettuce cups, Indian flatbread, Japanese seeded brown rice salad, sweet potato burgers and tropical flower decorations. The lunch spread ready to be shared at customised professional development for Fordham Avenue Kindergarten in Camberwell, Melbourne. 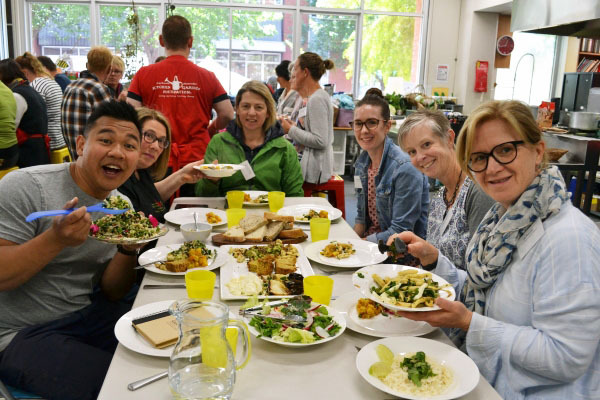 Enjoying the shared lunch for 140 people at the Big Melbourne Kitchen Garden Professional Development Day, at Melbourne’s Collingwood College. 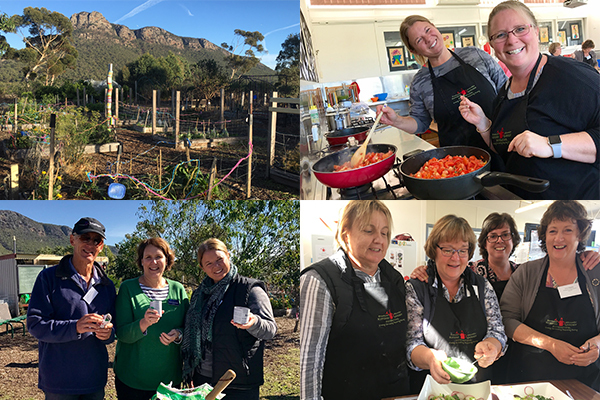 Inspired to join one of our kitchen garden training sessions in 2019? Head to our face-to-face professional development page to find your closest training session. Members of the Kitchen Garden Classroom receive a significant discount on training. Learn more about how to become a Kitchen Garden Classroom member. The Foundation can also design and deliver customised professional development sessions for schools, early childhood settings, businesses and community groups. Any questions? Call our friendly Support Team on 13000 SAKGF (13000 72543).